website.Latest FCI West Bengal Careers, Placement, Openings, Off Campus Vacancies, Interview dates are updated regularly. Eligible Candidates can follow Below Recruitment details. To get Instant Freshers JobUpdate Visit www.freshers-job.com. 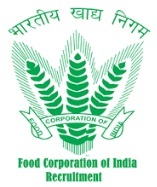 Food Corporation of India is a first District Office at Thanjavur which is rice bowl of Tamil Nadu and FCI headquarter in Delhi. FCI West Bengal is now recruiting some candidate through exam. FCI West Bengal is a nice scope for applicants to get a Central government Job. Applicants who are eligible to this Central Government FCI West Bengal can apply online this Opening 2017. Job Seekers of 2017,2016 Batch who are willing to apply for the post they must have passed 8th or relevant Degree from any recognized board can apply online this Recruitment 2017 2018. Candidate have to match related age criteria, qualification to apply this posts. Candidate can follow Application Form before apply Online. Age relaxation is applicable as per Government of India rules applicable for different categories (SC/ST/OBC/PwD) visit FCI West Bengal official Notification 2017 for more reference. General/OBC Candidates application Fees Rs.250/- should pay through online. Other Candidates ST, SC, Ex, PWC should not pay application Fees. Check fee details in official notification of FCI West Bengal for Watchman academic qualification, application fee, selection procedure, exam pattern are present in official Notice. Selected and Eligible Candidates for this FCI West Bengal Notification posts will get a Rs Stipend up to @ Rs.8,100 - 18, 070/- month to month pay scale as per Government norms with Rs. good amount of grand pay.